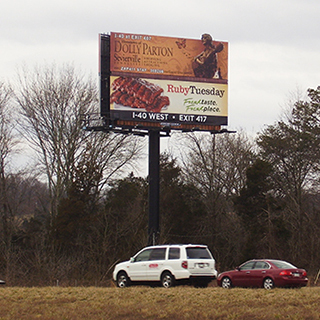 Description: This board is a sweet right-hand reader viewed by southbound traffic on I-81. The board is actually adjacent to the Hess Travel Mart. Send 'em to Sevierville, or take 'em east o Newport and North Carolina.